While the importance of branding and design agency partners will always be important, the need for this new type of specialized performance marketing agency will drive online growth for brands both in the near and long term. At Upgrow, we define ourselves as performance marketers, so it's important to share exactly that means. MarketingSchool.org offers this definition "Performance-based marketing is a method of interactive advertising paid for not with a set price, but with a variable price that depends on the performance of the ad. For example, the cost of an ad might be based upon how often it’s viewed on a webpage, how often it’s actually clicked, how often it actually generates a lead, or how often it results in a sale." 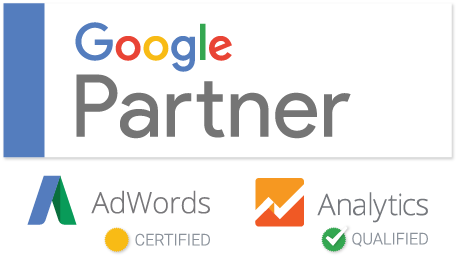 I like to think of performance marketing as any pay-per-click (PPC) or pay-per-lead program. If a digital marketing channel has an attributable conversion event then we consider that performance marketing. It can include search engine marketing or Google Adwords, affiliate marketing, social media marketing, paid content marketing ads, and other types of paid for performance online marketing channels. Analytics and attribution are increasingly more available for sophisticated brands. Getting an ROI for marketing budgets and channels is increasingly important. So have an agency that specializes in delivering results is a must so that brand marketing managers can report real results and take credit for the traffic and sales they drive. E-commerce and B2B brands alike benefit from this channel, whether they're convert sales or trying to build a prospect list with an email marketing lead capture form, running at a cost-per-lead or ROI goals make the program more efficient and more scalable. How well does it work? See some of our case studies for examples of client success in driving customer acquisition. Multi-Channel Expertise – Whether affiliate marketing, search engine optimization, high conversion web design or paid advertising, companies often rely on agencies to deliver results in the form of traffic, leads or sales. Having a holistic background in marketing strategy and driving performance is a key consideration for the agency you choose. These channels do not work in in silos, so a partner that can handle all of them and has a track record for complete performance marketing management is a top factor. Brand Protective – Getting quick results shouldn't compromise the brand image. Make sure your agency understands your brand and the target customer. Gucci could get a lot of sales by slashing prices or offering deep affiliate commissions but the brand image would suffer. Be sure your agency understands your brand. Recommendations – no single digital marketing agency can do everything well. So when you need a great referral for web development or UX, you want a well connected agency that can plug you in to other agencies and consultants. Strategic – Do you want to work with an agency that runs all of their client's accounts the same or one that will think beyond the Adwords interface and identify opportunities strategically. A good performance marketing agency will recommend landing page conversion improvements, go deep into your analytics and find insights and recommend new channels to complement and grow your volume. Client-to-team member ratio – Choosing an agency that handles a limited number of accounts per team member is a good idea. You don't want to being an account managers #14 account, even if it's at a discounted rate. On the other side, if an account manager only has 1-2 other small accounts then they may not have a lot of experience.